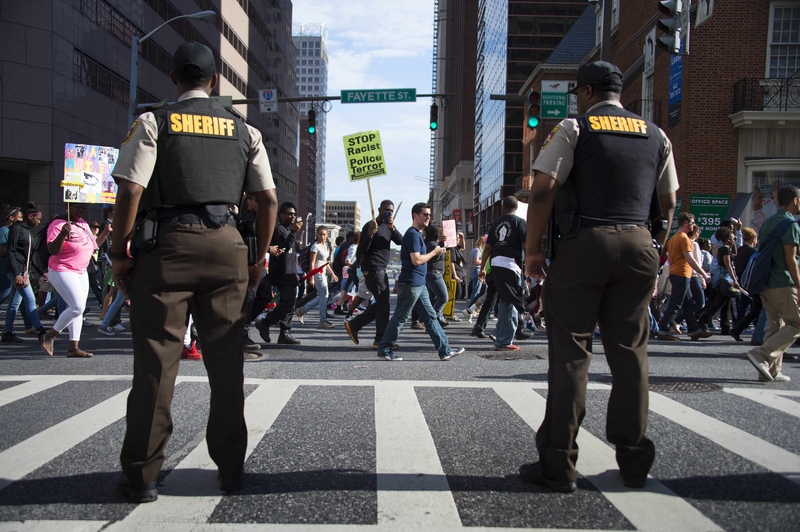 A thorough and scathing after-action review that was published highlights several key failures surrounding the Baltimore police's response to the Freddie Gray riots. The protests and ensuring riots revolved around the death of 25-year-old Baltimore resident Freddie Gray, who died as a result of injuries sustained during his arrest back in April. For several days, Baltimore streets were flooded with protests that quickly turned violent when rioters began looting and burning the city. The police department were overwhelmed. A report published by the Baltimore City Fraternal Order of Police Lodge #3, a police union, allegedly lines out the key problems surrounding police response to the protests, and claims that the destruction and violence were "without question, preventable" and cited a failure in professional behavior and response by police commissioners. Some of the more egregious claims within the review come from unnamed sources, and city leaders are speaking out against the allegations. Baltimore mayor Stephanie Rawlings-Blake issued a statement dismissing the review. "Our hope was that this report would shed some additional light on how we can better prepare our officers should there be future unrest," Rawlings-Blake said. "Instead this report is no more than a trumped up political document full of baseless accusations, finger pointing and personal attacks." It's important to note that almost every failure highlighted within the report is not a result of individual police action, but rather of the way those in power allegedly handled the situation. During the worst of the rioting, which happened on April 27, the same day as Gray's funeral, 19 buildings and 144 vehicles burned, and 130 police officers were injured. So, where did they go wrong, according to the report? In addition to the allegation that police were ordered to allow rioting, the review also states that officers were not allowed to make arrests until they were given permission by civilian legal advisers. While in the field, police were expected to call in with details and seek approval by individuals in the department's legal department before being allowed to make an arrest. In addition, several individuals arrested were reportedly released on the request of the legal department. The report also takes issue with the amount of time that passed before the National Guard were called in to help alleviate the riots. The peaceful protests were planned in advance, and Commissioner Batts had received 200 additional officers in preparation, totaling a force of 1,200. According to the report, Batts was urged to call in the National Guard on April 26, when there were still relatively few riots. Batts allegedly said the Guard was not needed, though he ended up requesting aid the next day. Other issues highlighted in the report surround the lack of equipment issued to police officers. According to the report, officers were initially told not to "wear gloves or sunglasses and that no one was to wear a helmet until advised to do so by a supervisor." In addition, the report alleges that "Batts ordered officers to remove their gloves as there was no need for them to look 'so Billy Badass.'" During initial deployment, officers were reportedly not equipped with proper riot gear, presumably for appearance sake. Once issued, the report states that the equipment was old, ill-fitted, or only intended for training purposes. The uniforms and gear worn were not properly fire retardant, the report states, and officers were not properly trained on how to use the riot gear. One of the most alarming gaps that the report cites it that officers were not well trained for civil unrest or riot situations. Those who had received training were trained for individual reaction, instead of being trained to work in squadrons or larger groups. The report goes farther to recommend that the department expand their resources and staff to allow for proper training in the future, as current resource restrictions prevented proper training. The report cites major intelligence gaps as an issue during the riots, as the BPD was unable to quickly gather credible and pertinent intelligence to aid in their response. In addition, many officers claimed that the orders they received were contradictory and confusing, often resulting in forces being ordered to advance and retreat repeatedly. This, the report states, effected the "level of respect they commanded from rioters." Due to this alleged breakdown in tactical preparedness, officers were required to stay on shifts for long hours, and were unable to rotate out or rest at all. The report states that some officers were left in the field for 18 to 24 hours straight without proper food, water, or rest. According to the report, this is standard practice for the BPD, who routinely fails to provide officers with necessary resources. At one point, the report claims that on any given day the BPD is "unable to specify the number of officers/detectives deployed throughout the city." It appears that this poor communication was amplified during the April riots. The report cites officers who claimed that they didn't know who or where to report to, while others had to walk through riots or take buses to get to their stations. Others reported getting trapped on a subway platform by attacking rioters, and there were reportedly no clear plans for aiding injured officers. In addition, the report states that officers were not informed of a clean plan or overarching goal, and even wonders if a response plan existed at all. One of the more public breakdowns in communication, the report alleges, is when the BPD issued an unverified claim to media sources stating that gangs were planning to join the riots, and presented a credible threat to police enforcement. This claim was later proved to be unverified and false. In its conclusion, the scathing report highlights that since the April riots, no clear attempt has been made by the BPD to prevent against similar future events. In addition, it claims that there have been no efforts to fix problems and issues that arose, such as breakdowns in communication, or the lack of training and emergency preparation.